These profiles are only applicable to our wood doors and drawer fronts and are NOT available for our RTF or 1-Piece MDF doors and drawer fronts. Our Designer Miter Profiles are a "LOCKED" size. The frame widths are not adjustable. 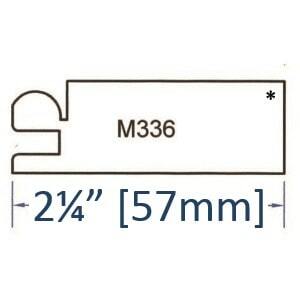 Designer Miter Profile M331 for doors is locked at 2 15/16â³ wide.Â Minimum size required for door is 10â³ wide X 10â³ high. This profile is only applicable to our Wood Doors and is not available for our RTF or 1-Piece MDF doors. 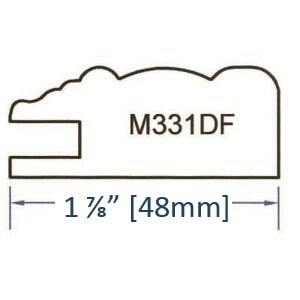 Designer Miter Profile M333 for doors is 2 15/16â³ wide. Minimum size required for door is 10â³ wide X 10â³ high.Â This profile is only applicable to our wood doors and is NOT available for our RTF or 1-Piece MDF doors. 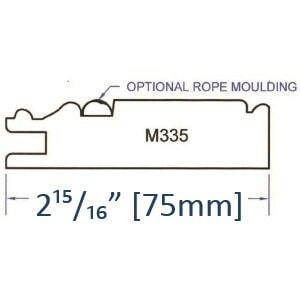 Designer Miter Profile M335 for doors is locked at 2 15/16â³ wide, and has groove that accepts our optional Applied Rope Moulding which is available for an up-charge. Minimum size required for door is 10â³ wide X 10â³ high.Â This profile is only applicable to our wood doors and is not available on our RTF or 1-Piece MDF doors. 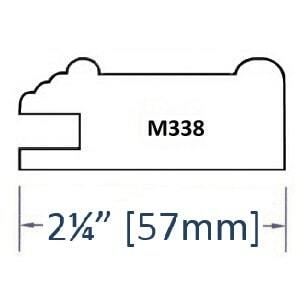 Designer Miter Profile M336 for doors is locked at 2 1/4â³ wide, and does require that you choose one of our Wood Door Edge Profiles. 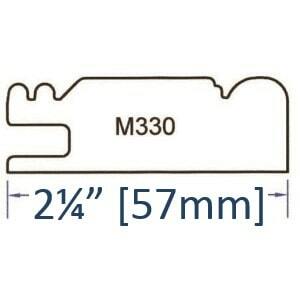 Minimum size required for door is 10â³ wide x 10â³ wide. This profile is only applicable to our wood doors and is NOT available for RTF or 1-Piece MDF doors. 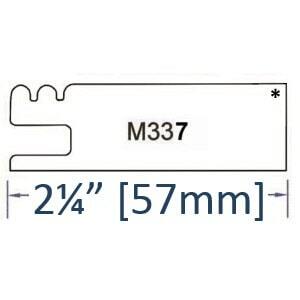 Designer Miter Profile M337 for doors is locked at 2 1/4â³ wide, and does require that you choose one of our Wood Door Edge Profiles. Minimum size required for door is 10â³ wide X 10â³ wide. This profile is only applicable to our wood doors and is NOT available for our RTF or 1-Piece MDF doors. 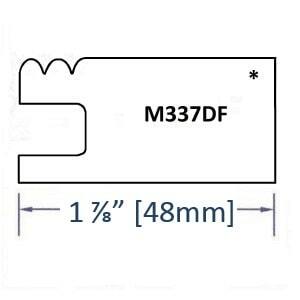 Designer Miter Profile M338 for doors is locked at 2 1/4â³ wide.Â Minimum size required for door is 10â³ wide X 10â³ high.Â This profile is only applicable to our wood doors and is NOT available for our RTF or 1-Piece MDF doors. 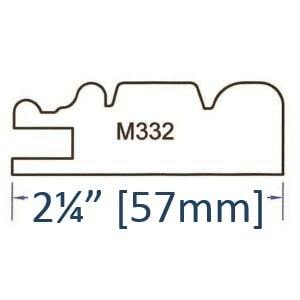 Designer Miter Profile M339 for doors is locked at 2 15/16â³ wide, and does require that you choose one of our Wood Door Edge Profiles.Â Minimum size required for door is 10â³ wide X 10â³ high.Â This profile is only applicable to our wood doors and is NOT available for our RTF or 1-Piece MDF doors. 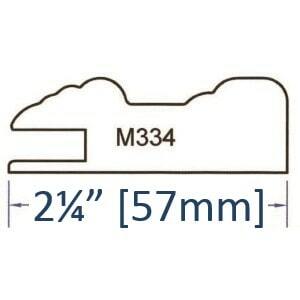 Designer Miter Profile M330DF is locked at 1 7/8â³ wide. 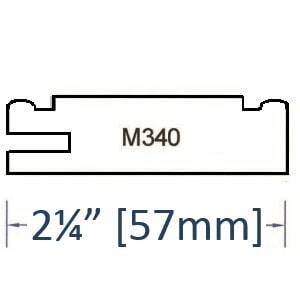 Minimum size required is 10â³ wide x 7â³ high.Â This profile is only applicable to our wood drawer fronts and is NOT available for our RTF or 1-piece MDF drawer fronts. 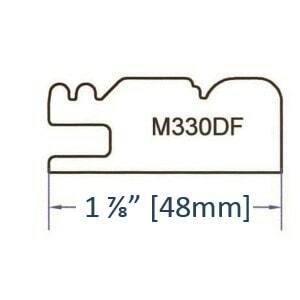 Designer Miter Profile M331DF is locked at 1 7/8â³ wide.Â Minimum size required for drawer front is 10â³ wide X 7â³ high. This Profile is only applicable to our Wood Doors and is NOT available for our RTF or 1-Piece MDF drawer fronts. 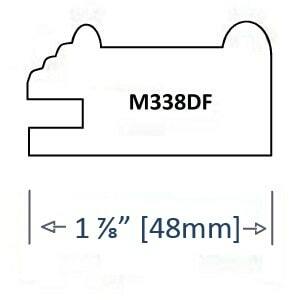 Designer Miter Profile M333DF for drawer fronts is locked at 1 7/8â³ wide.Â Minimum size required for drawer front is 10â³ wide X 7â³ high.Â This profile is only applicable to our wood drawer fronts and is NOT available for our RTF or 1-Piece MDF drawer fronts. 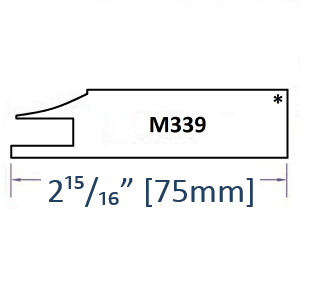 Designer Miter Profile M334DF for drawer fronts is locked at 1 7/8â³ wide.Â Minimum size required for drawer front is 10â³ wide X 7â³ high. 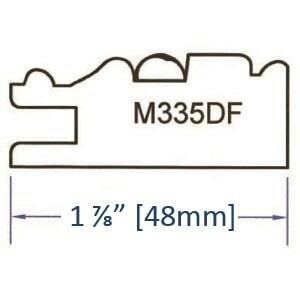 This profile is only applicable to our wood drawer fronts and is NOT available for our RTF or 1-Piece MDF drawer fronts. 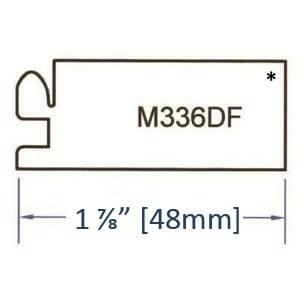 Designer Miter Profile M335DF for drawer fronts is locked at 1 7/8â³ wide, and has groove that accepts our optional Applied Rope Moulding which is available for an upcharge.Â Minimum size required for drawer front is 10â³ wide X 7â³ high. 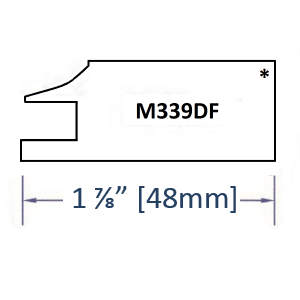 Designer Miter Profile M336DF for drawer fronts is locked at 1 7/8â³, and does require that you choose one of our Wood Door Edge Profiles. Minimum size required for drawer front is 10â³ wide X 7â³ high. 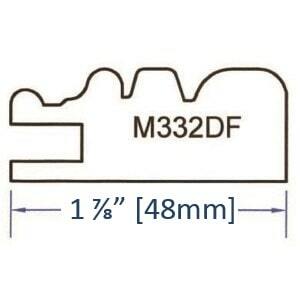 This profile is only applicable to our wood drawer fronts and is NOT available for RTF or 1-Piece MDF drawer fronts. 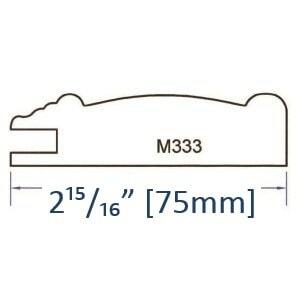 Designer Miter Profile M337DF for drawer fronts is locked at 1 7/8â³ wide, and does require that you choose one of our Wood Door Edge Profiles.Â Minimum size required for drawer front is 10â³ wide X 7â³ high. 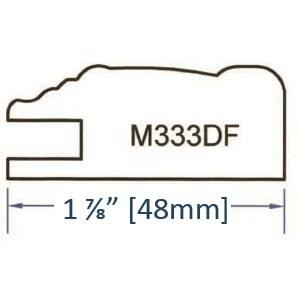 This profile is only applicable to our wood drawer fronts and is NOT available for our RTF or 1-Piece MDF drawer fronts. 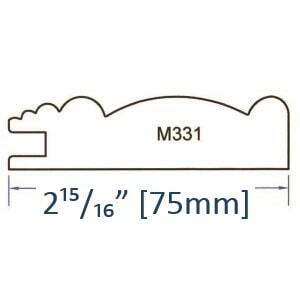 Designer Miter Profile M339DF for drawer fronts is locked at 1 7/8â³ wide, and does require that you choose one of our Wood Door Edge Profiles.Â Minimum size required for drawer front is 10â³ wide X 7â² high. 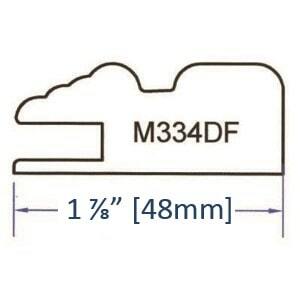 This profile is only applicable to our wood drawer fronts and is NOT available for our RTF or 1-Piece MDF drawer fronts.